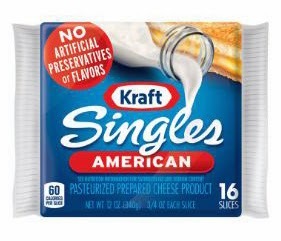 Earlier this week, Kraft Foods Group announced that it was cleaning up its formulation of Kraft American Singles, the popular process cheese product often used to make the iconic grilled cheese sandwich. The company removed all artificial ingredients from the cheese, replacing the preservative sorbic acid with natamycin, which Kraft says is a natural mold inhibitor. This comes just months after the company announced it will remove artificial colors from its Kraft Macaroni and Cheese shaped pasta products in the U.S., replacing Yellow 5 and Yellow 6 with a combination of paprika and beta carotene. Oddly, the company is keeping the artificial colors in its most popular variety, the standard elbow-macaroni-shaped version. In Europe, all varieties use paprika and beta carotene to give the pasta its famous yellow-orange color. “We know families today want convenient foods that have no artificial preservatives and a simpler, more recognizable ingredient list, and Kraft is working to deliver more of these options for some of our most beloved brands,” says Brian Gelb, senior associate brand manager at Kraft Foods. Indeed, consumers are loving clean labels…and in dairy, many expect it. But what exactly is clean label? Well, it goes without saying that any ingredient classified as artificial by FDA is not clean. This list includes colors, flavors, preservatives and sweeteners. Then there’s the Whole Foods Market list of unacceptable ingredients that many formulators use as a guideline of what’s clean label or not. But don’t expect to find Kraft American Singles in Whole Foods Market any time soon. Natamycin is on its list as an unacceptable ingredient. You can view that list HERE. Clean label has many interpretations. Most authorities agree that it suggests not containing anything artificial, being minimally processed and made with simple, recognizable ingredients. Many consumers also consider certain certifications such as kosher and non-GMO verified as a sign of being clean label. Nearly 73% of consumers worldwide say a short, simple ingredient list is important or very important when considering their food and beverage purchases, according to 2012 proprietary Ingredion research of 300 consumers in each of 11 countries. Research also shows that 60% of consumers worldwide would switch brands for a natural label. Fortunately for the dairy industry, clean-label formulations have long been one of its strengths. For example, Daisy Brand markets both full-fat and light sour cream that is made with only cultured cream and milk or cream. Its cottage cheese has one additional ingredient: salt. Products carry the tagline: Better Ingredients. That’s the Daisy difference. Of course, not all dairy products are such simple formulations, in particular once flavors, colors and sweeteners become part of the product mix. 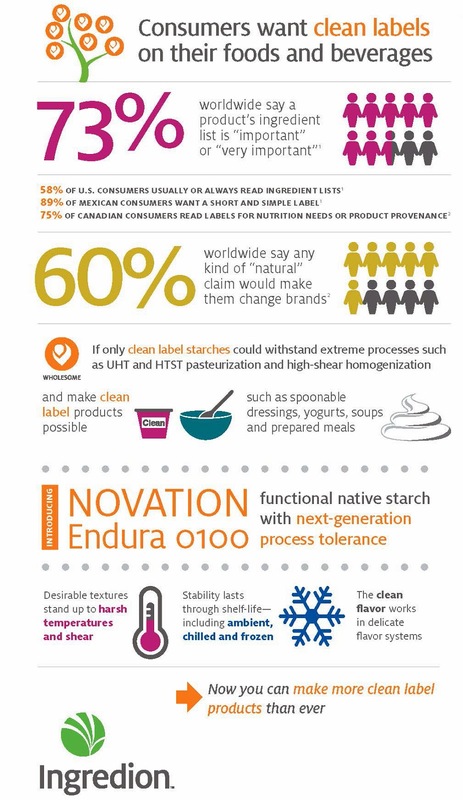 Here are some recent innovations that fit the bill of being clean label. Just in time for Valentine’s Day, Ehrmann USA, the American subsidiary of the like-named German dairy manufacturer, is giving Greek yogurt a makeover. 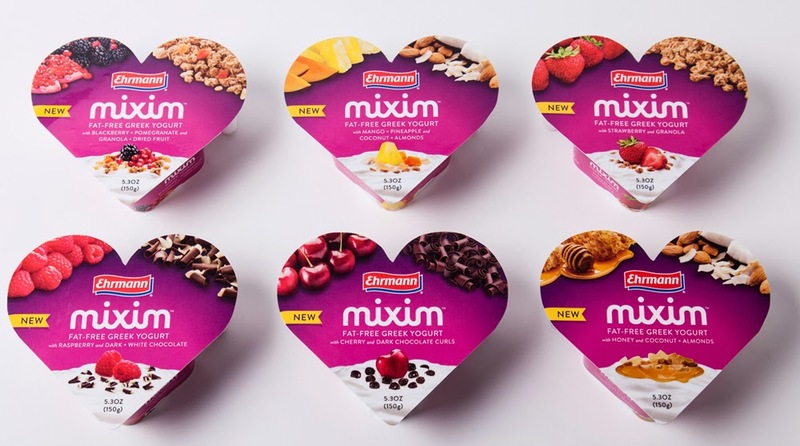 New Ehrmann Mixim comes in a distinctive heart-shaped container that gives consumers a new way to enjoy Greek yogurt...and permission to play with their food. This package is the only one of its kind in the industry and has been available in Europe for some time. It was previously reported on HERE. This new way to consume Greek yogurt provides a triple-dip of flavorful fun. The heart-shaped container has a serving of creamy, smooth plain Greek yogurt that is paired with two topping combinations to let consumers create their own taste sensations. With six flavors, there’s a Mixim to match every food mood. For decadent and dessert-like, there’s Cherry and Chocolate Curls; and Raspberry with Dark and White Chocolate Curls. For take-me-away to somewhere tropical, there’s Mango Pineapple with Coconut & Almonds; and Honey with Coconut & Almonds. If fruity and crunchy is what you are craving, there’s Strawberries with Granola; and Blackberry Pomegranate with Granola & Dried Fruits. Each 5.3-ounce container is approximately 150 calories and delivers at least 10 grams of protein. And most importantly, these are clean-label products. Whole Foods Market carries them, as well as other major retailers throughout California, Nevada and Arizona. A single container sells for about $1.99. For more information, visit HERE. 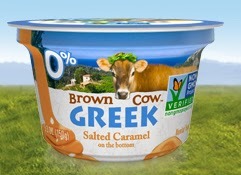 Stonyfield Farms’ Brown Cow brand is rolling out a non-GMO 0% Fat Greek Yogurt. It is the first Non-GMO Project Verified Greek yogurt. It’s thick, creamy and authentically strained, and you’ll find it only at Whole Foods Market. The 32-ounce container only comes in plain. The 5.3-ounce cup comes in Smooth and Creamy (plain and vanilla) and Fruit-on-the-Bottom (black cherry, blueberry, pineapple, salted caramel and strawberry). 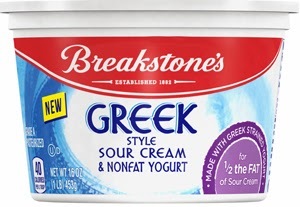 At the end of 2013, Kraft introduced Breakstone’s Greek Style Sour Cream & Nonfat Yogurt, which has sour cream taste with all the goodness of Greek yogurt. This new cultured dairy product has a very simple ingredient statement that reads: Sour Cream (Cultured Pasteurized Grade A Cream [from Milk], Enzymes), Nonfat Yogurt (Cultured Pasteurized Nonfat Milk). 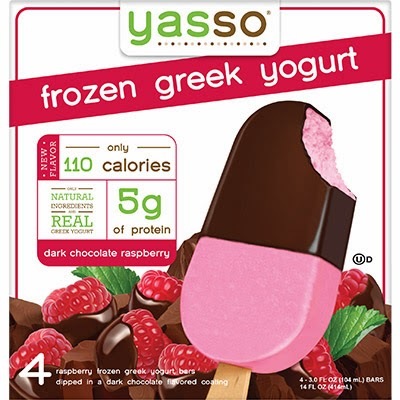 Yasso Frozen Greek Yogurt, the pioneers of frozen Greek yogurt, just added five new flavors to its line of bar novelties. The flavors are: Chocolate Fudge, Dark Chocolate Raspberry, Mint Chocolate Chip, Peanut Butter Cup and Sea Salt Caramel. Want more consumers to love your dairy foods? Go clean label!